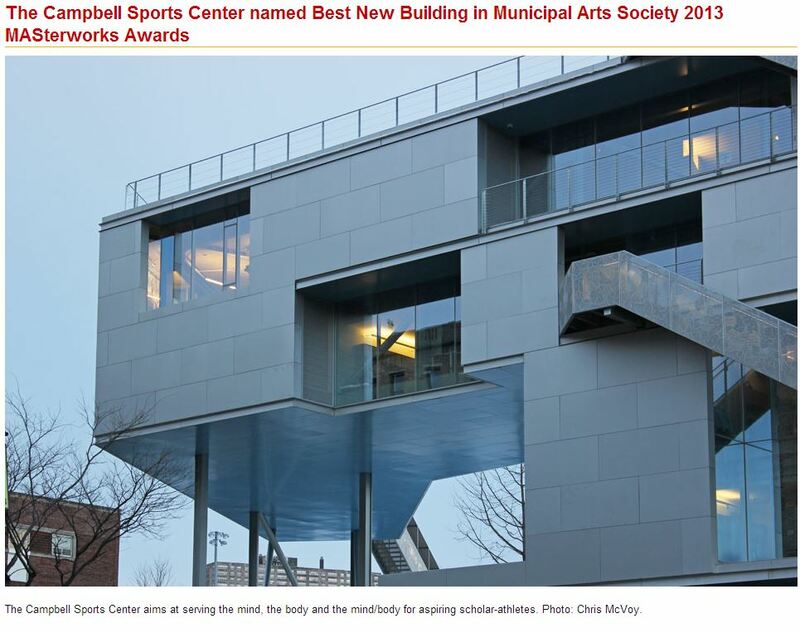 NEW YORK, NY.- Steven Holl Architects’ Campbell Sports Center at Columbia University has been named the Best New Building in New York in the 2013 MASterworks Awards, administered by the Municipal Arts Society. The MASterworks Awards celebrate excellence in architecture and urban design in New York City, and recognize the best projects, completed within the last year, that have made significant contributions to the built environment of the city. 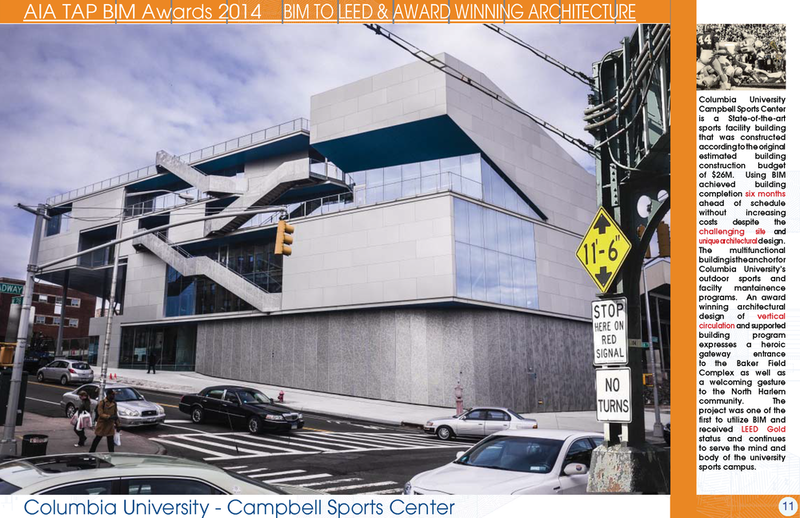 On the northernmost edge of Manhattan, where Broadway crosses with Tenth Avenue and the elevated tracks of the 1 subway line, the Campbell Sports Center forms a new gateway to the Baker Athletics Complex, the primary athletics facility for Columbia University's outdoor sports program. The first new athletics building to be constructed on Columbia University's campus since the Marcellus Hartley Dodge Physical Fitness Center was built in the mid-1970s, the Campbell Sports Center is the new cornerstone of the revitalized Baker Athletics Complex and provides increased program space for the entire intercollegiate athletics program. The facility, which adds approximately 48,000 square foot of space, houses strength and conditioning spaces, offices for varsity sports, theater-style meeting rooms, a hospitality suite and student-athlete study rooms. 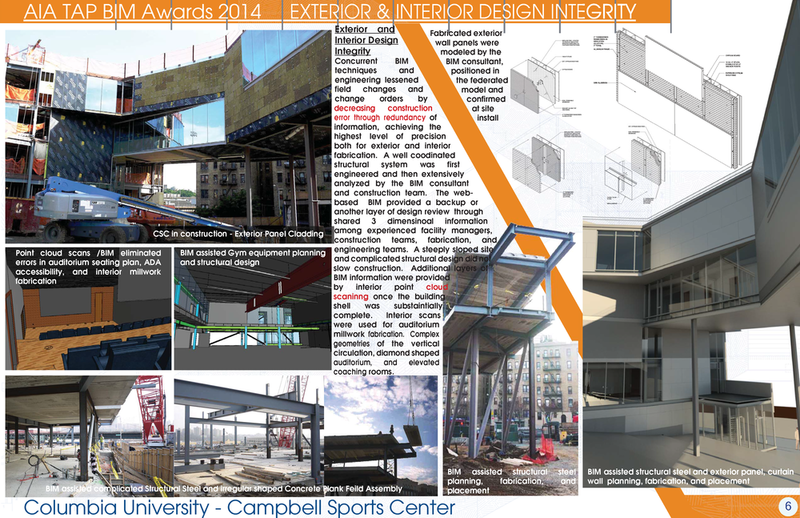 The Campbell Sports Center aims at serving the mind, the body and the mind/body for aspiring scholar-athletes. The design concept "points on the ground, lines in space"—like field play diagrams used for football, soccer, and baseball—develops from point foundations on the sloping site. Just as points and lines in diagrams yield the physical push and pull on the field, the building's elevations push and pull in space. The building shapes an urban corner on Broadway and 218th street, then lifts up to form a portal, connecting the playing field with the streetscape. Extending over a stepped landscape, blue soffits heighten the openness of the urban scale portico to the Baker Athletics Complex. Terraces and external stairs, which serve as "lines in space," draw the field play onto and into the building and give views from the upper levels over the field and Manhattan. The winning MASterworks Award projects will be celebrated with a ceremony and cocktail reception at the top of 4 World Trade Center on November 6. M.Arch Architects was hired by Pavarini McGovern to produce a building information model of Steven Holl's design for Columbia University's Campbell Sports Center. The ambitious design included a sloping site with stepped footings and a large cantilever steel and concrete plank structure suspended on steel and concrete piles above a stepped outdoor community space that embraces the neighborhood as an inviting entrance to sports and recreation just behind the building. The building interiors will house grounds maintenance equipment, a 2 story workout and weightlifting room, coaches offices, conference rooms, an auditorium, and hospitality lounge overlooking the recreation fields. Our duties included reconstructing Steven Holl's designs into a 3 dimensional building information model, management and coordination of the BIM integrating and building all the systems including the structure, mechanical, plumbing, and electrical components in a comprehensive 3D BIM for the University facilities department.